Status: Eliminated by Freida Pinto in Round 1! 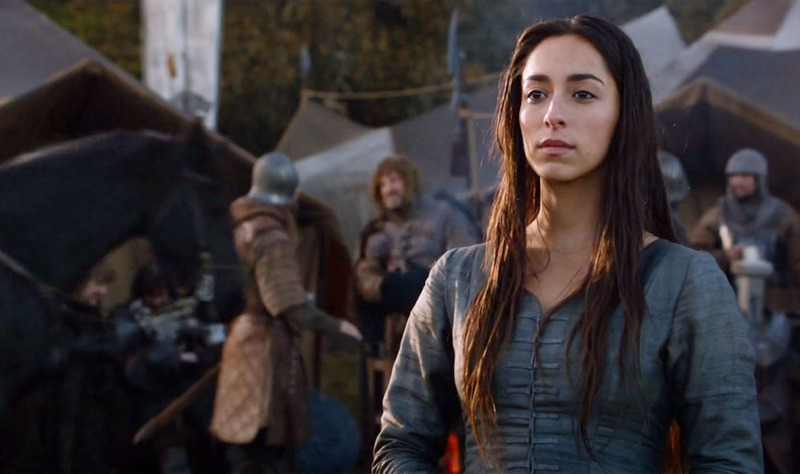 Oona Chaplin is an actress who recently appeared as Talisa Maegyr in HBO’s Game of Thrones. Prior to Game of Thrones, she appeared as a regular in The Hour and had a guest spot on several television shows including the UK hit, Sherlock. She made her big Hollywood debut with a bit part in James Bond: Quantum of Solace. Other film credits include The Devil’s Double and Pelican Blood. Oona is the granddaughter of famed actor Charlie Chaplan and the great-granddaughter of playwright Eugene O’Neill (whose daughter, Oona, is her namesake). She grew up in Spain, Switzerland, and Cuba. She moved to Scottland at age 15 to study at Gordonstoun on scholarship and in 2007 she graduated from the Royal Academy of Dramatic Art. Check out her interview on Hit Fix!